Holidays by the sea are not only about sunbathing on the beach and swimming in the water. It is also an opportunity to move, walk, ride a bike or explore the surrounding monuments, as well as to experience something unusual. Family holidays by the sea can be an opportunity to practice sports, discover new passions and explore the beautiful corners of the west coast. All you need to do is make a list of local tourist attractions and you can plan every day so that you can find time for sunbathing and traffic. Walking and cycling is a great combination of movement, observation of coastal nature and breathing fresh, healthy air. It is worth coming to Pobierowo with bikes, but if someone does not have such a possibility, these bikes can also be rented on the spot. The Pobierowo area abounds in interesting places for walks, because there is no shortage of hiking trails here! As many as two main tourist trails run through Pobierowo itself: Nadmorski, Czesław Piskorski and Pobrzeże Rewalskie Trail. Both are not much longer than 10 km, which makes them ideal even for a trip with children. The most popular bicycle routes are: The Summerobierowo Trail and the Western Liaison Trail. Cycling trails are mainly gravel roads, clearly marked on which you ride safely and comfortably. Miniature and Railways Park, which is located in Dziwnow. As the name suggests, we can find here replicas of locomotives and wagons, as well as miniature lighthouses. An additional attraction for children is the opportunity to ride a miniature train. Deep-sea enthusiasts eagerly visit the Whale Park in Rewal. Visitors can see models of sharks, whales and squids. Narrow-gauge Seaside Railway – runs on two routes, on the section between Pogorzelica and Niechorze. It takes about 40 minutes to get there in partially open retro wagons, and you can also take your bikes with you. 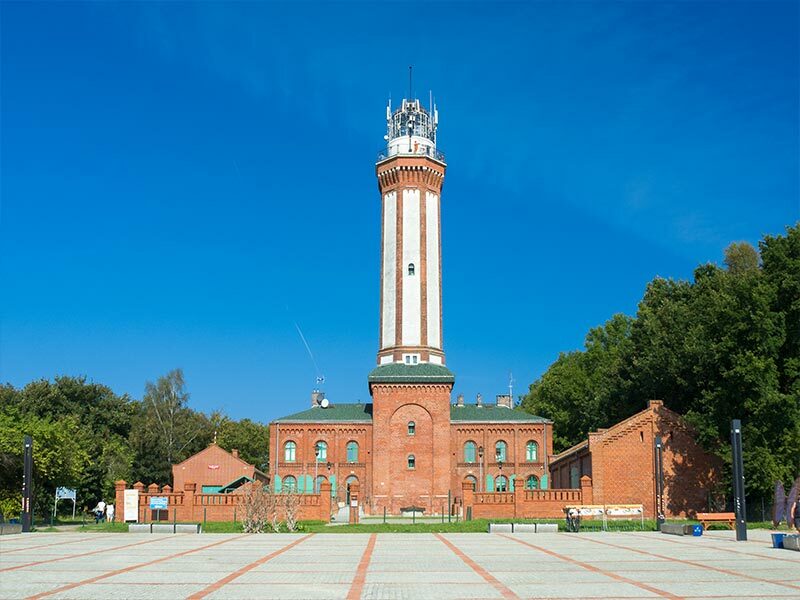 Lighthouse in Niechorze, which was built at the end of the 19th century on a high cliff. From the lighthouse there is a beautiful view of the sea, with a telescope you can also see the surrounding villages hidden in the pine forests. Marina in Kamien Pomorski from where a tourist ship of pirates sails to Dziwnow. Before boarding a ship, let’s book some time for delicious ice cream or lunch in Marina. Recreational and therapeutic centre Damian – public swimming pool with heated water. It can be used by guests from outside the resort. The Sandra SPA in Pogorzelica is open to the public and offers not only an indoor swimming pool, but also other attractions, including slides and a climbing wall. Mira-Mar Rehabilitation and Recreation Centre – the heated swimming pool is also available for guests from outside the centre. Evenings or less sunny days can be spent with the family in the bowling alley. Bowling requires a bit of precision and strength, motivates to compete, but above all it is a great way to move and strengthen family ties. The bowling alley with four lanes is located in the Sandra Spa centre in Pogorzelica and is open to the public. A trip with children to the sea is a great opportunity to show the children that museums and exhibitions can be interesting, broaden their horizons and it is worth visiting them not only on the occasion of the Night of Museums. In Pobierowo and its surroundings there are museum objects and permanent and temporary exhibitions where children of all ages can be taken. An old Dutch windmill stands in the village of Lędzin, 2 km from Niechorze. The palace and farm complex in Trzęsacz. It is currently a hotel with a beautiful garden park and a stable. In the western part of Pobierowo you can see from the outside the house where Ewa Braun, Adolf Hitler’s wife, lived. Historic stations of the Seaside Narrow Gauge Railway: in Rewal or in Pogorzelica. 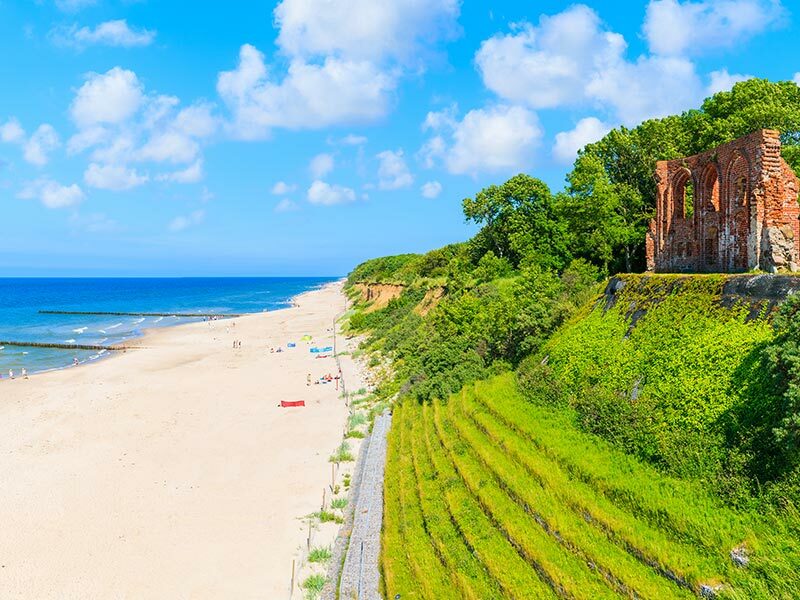 Beach in Pobierowo is an excellent place to relax, so among the beachgoers we can hear not only the voices of Polish tourists, but also those from Germany, the Czech Republic, Slovakia….The beach is wide, sandy, with gentle descents. The swimming pool stretches over 400 meters and is guarded by lifeguards between 10 a.m. and 6 p.m. However, this is not the only advantage – there are also slides, events and sports competitions waiting for the swimmers. Horse riding is a general developmental sport, which does not require a lot of fitness, and which gives a lot of fun Even a short ride on a horse or pony, relaxes and improves the mood. Building skateparks is for many cities and towns an idea to activate youth and promote sport. Young people, instead of walking on housing estates, do an interesting, physically developing sport, do not drive on dangerous streets, but on the fenced area, do not destroy benches, stairs or sidewalks. Skatepark is also a great attraction for tourists who are looking for new experiences. In Pobierowo and its surroundings there are as many as three skateparks. In Rewal a professional skatepark has been built for people who are already skilled in riding on skates or boards. In Niechorze is well equipped skatepark for young people on skateboards, bikes and skates. Very professional skatepark is also in Pobierowo. 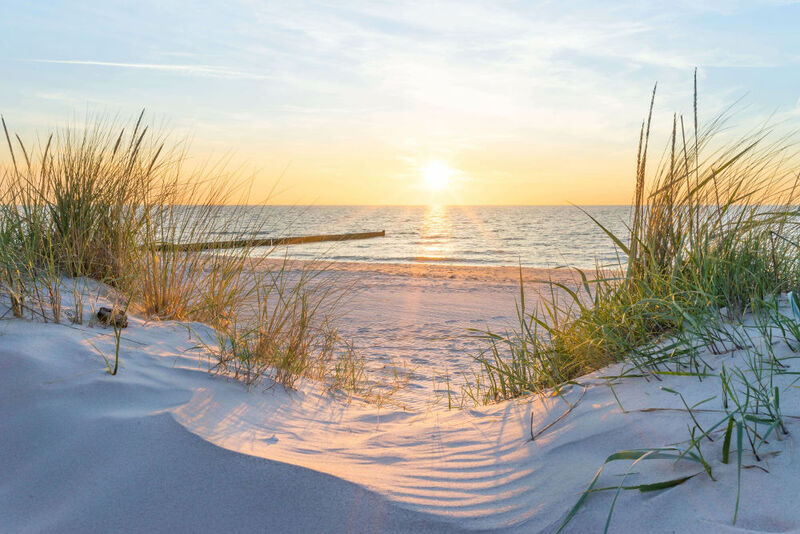 One of the most popular places to relax during holidays by the sea is the entertainment complex “OKO Iluzji” in Pobierowo. This is the only attraction on the coast, where children can experience a bit of magic, but also a large dose of education. It is worth taking your camera with you, because the pictures from the Eye of Illusion are an amazing souvenir for years. You can play on the courts even after dark, because they are well lit. It is also worth asking about tennis lessons. A paragliding flight is an opportunity to look at the beautiful beaches and the sea from above, break away from reality and experience a fascinating adventure. From May to the end of the holiday between Rewal and Trzęsacz there are paragliders who take part in their caring wings (literally and figuratively) of passengers. The flights offered can be free-flying or backpack driven. Pobierowo is a summer resort, which is why local entrepreneurs have set themselves the goal of preparing dishes that will satisfy the tastes of tourists from all over the world. There is no shortage of exclusive restaurants serving top-quality starters and dinners as well as bars with fried fish or serving quick dishes and snacks for real hungeries. The choice of bars and restaurants in Pobierowo is so large that everyone will find something for themselves. During holidays at the seaside everyone has the right to rest and if you do not want to cook during the holiday, it is worth taking advantage of the offer of dishes served in local pubs. There are also ice cream parlours, cake shops and shops, bigger shopping in “Biedronka”.